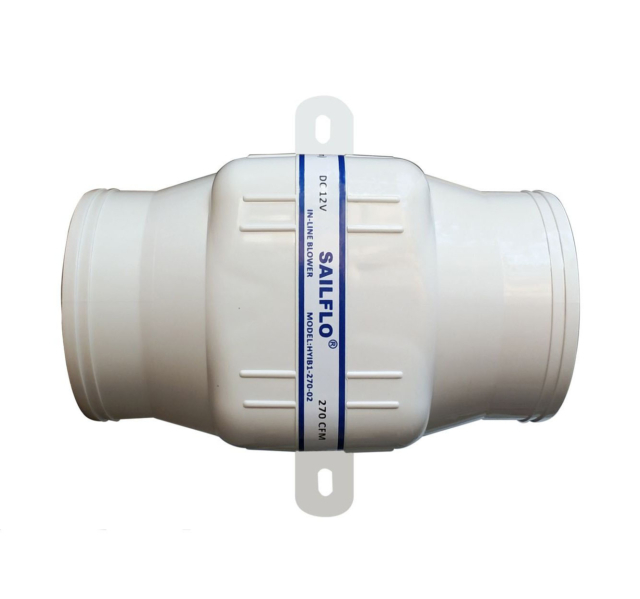 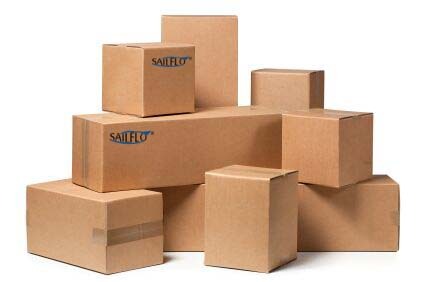 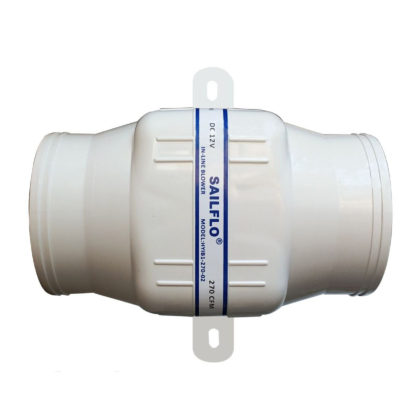 Sailflo 4” In-line Blowers is designed to provide ventilation for bilges, engine compartments, galleys and heads. 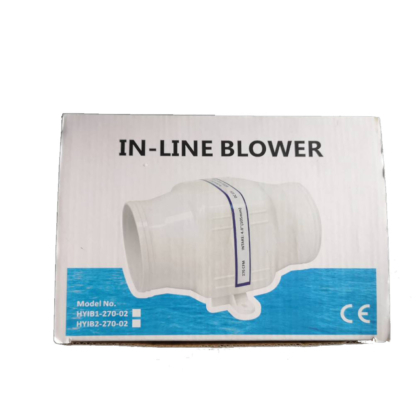 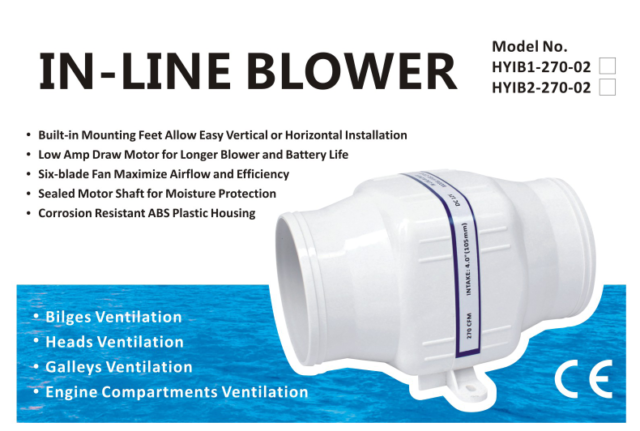 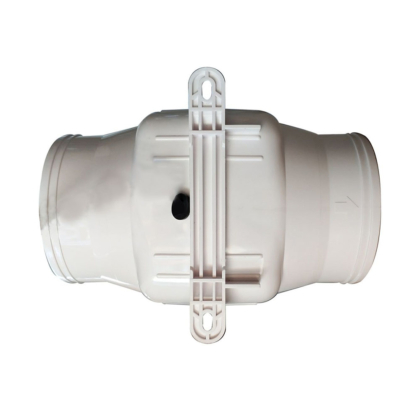 Designed for efficient, high output operation, these blowers feature our exclusive front and rear shaft seals and corrosion resistant ABS motor housings for long life. 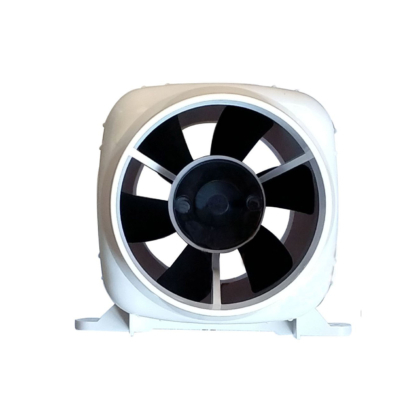 Compact and easily installed on any flat surface.